Briefly the archaic script is of type called 'Large Seal Script' popular in the period of the Spring and Autumn Annals (772-481 BCE). 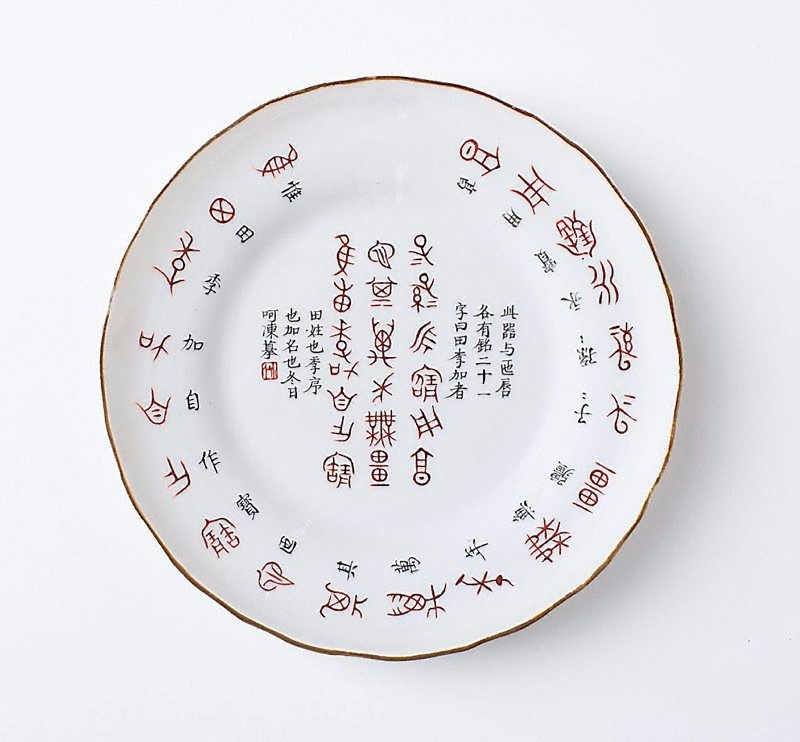 According to the inscription it appeared on the inside rim of 'yi' vessel. The translation, very roughly is 'Tian Zhi Zhia [Tian Jijia], copied on a winter day, breathing on the frozen tip of the brush to warm it'. Dr. Mae Anna Pang in 'Late Chinese Imperial Porcelain', AGNSW, 1980. Art of the Brush - Chinese & Japanese painting calligraphy , Sydney, 1995, 6 (illus. ), 7.